Indore: Union Minister Faggan Singh Kulaste said the government is mulling setting up new All India Institute of Medical Sciences (AIIMS) centres in rural areas, to provide better health services. “We are thinking of setting up AIIMS, especially in rural areas for providing better health services to the people and asked the state governments to submit their proposals in this regard,” the Union Minister of State for Health and Family Welfare told reporters after a programme. “If these proposals are found as per the standards and depending upon the financial condition of concerned state governments, new AIIMS would be set up in these areas,” he said. 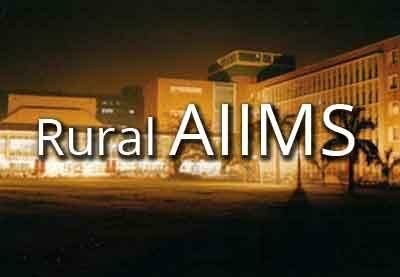 Targeting the erstwhile UPA Government, he said during its ten years of rule, it had failed to bring into reality its announcement of opening an AIIMS at Rae Bareilly in Uttar Pradesh. He said the NDA government would start the OPD at Rae Bareilly AIIMS in 2017. On the occasion, he also informed that the Centre has decided to raise the standards of 58 government medical colleges of the country, including that of Gwalior, Rewa and Jabalpur in Madhya Pradesh. The Minister said the issue of doctors not interested in serving in rural areas would be resolved in near future as the government has increased the MBBS seats in the medical colleges in the country.